How do you properly deep condition your natural hair? Deep conditioning can be tricky, depending on how often your hair is in DIRE NEED of moisture. Maybe you are facing a harsh winter, or maybe you don’t know how often you should deep condition. How do you know if a deep conditioner is good or not? How can you tell, based off of ingredients that it is going to penetrate the strands? 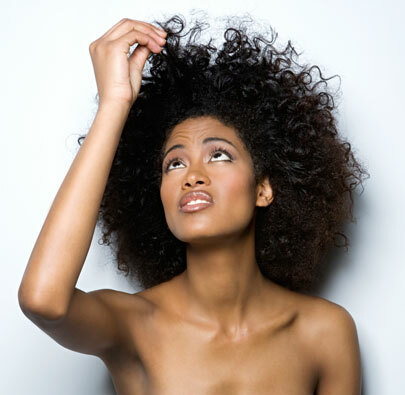 What should us curly girls and coily chicks look out for before buying deep conditioners/different masque treatments? After reading a couple articles and doing my research on this topic, I found that the key to finding the perfect deep conditioner is to truly become an ingredient expert. Yes, ingredient police. Utilizing this skill will help you better determine what deep conditioners you should use, and what to look out for. But wait…how do I know what ingredients are going to work for me? How do I know what ingredients are going to deep condition my strands? The key to deep conditioning is making sure that the ingredients in your conditioner are actually PENETRATING the strands. While deep conditioning, its important to have the conditioner penetrate your strands at 35 degrees celcius (temp can be obtained by hooded dryer, or covering with a plastic cap). The ingredients that will help penetrate include hydrolyzed wheat protein, hydrolyzed silk protein, coconut oil, cetrimonium bromide, panthenol, some silicones. Many can penetrate in between the layers of the cuticle and into the cortex of the hair. Each ingredient has its own time for penetration ranging from minutes to hours. Timing can also depend on the condition of the hair; whether or not it is damaged, color treatment, extremely dry, etc. 1. Put a plastic cap over your hair and then apply heat for up to 30 minutes. The time the conditioner is left on the hair combined with the application of heat increases the penetration of some ingredients. The warmer your hair is, the deeper the penetration into the hair and the more effective the conditioning treatment. Now, I am a busy girl, with responsibilities ranging from work to school to trying to start a business. For me, I prefer to deep condition on the go. Now, what does that mean? Deep conditioning on the go simply means to apply the deep conditioner, cover with a plastic cap/saran wrap as I like to do ;), put a bonnet on and a hat and you are good to go. Whether you have to run errands, have an event to go to (just make sure the hat is cute), deep conditioning on the go works for me so I don’t have to wait by sitting under the dryer and what not. Try it out and lemme know if it works for you! 2. Last tip: Always rinse with cool water. Alot of naturals don’t know this. I didn’t know this. Always rinse the conditioner out with cool water because cool water seals the cuticle, so you will not lose the moisture that you have already put into your hair. After you deep condition your hair it should ALWAYS feel softer, moisturized, shiny and more manageable. Thats all I have for today. Thanks guys! Share your thoughts and comments below. Pray for me as I try to stay awake for the rest of the work day. HA! This entry was posted in Natural Hair and tagged Beauty, deep condition hair, Hair, hair tips, Hairstyles, How To, Natural Hair, Style. Bookmark the permalink. My curls are so fluffy today! 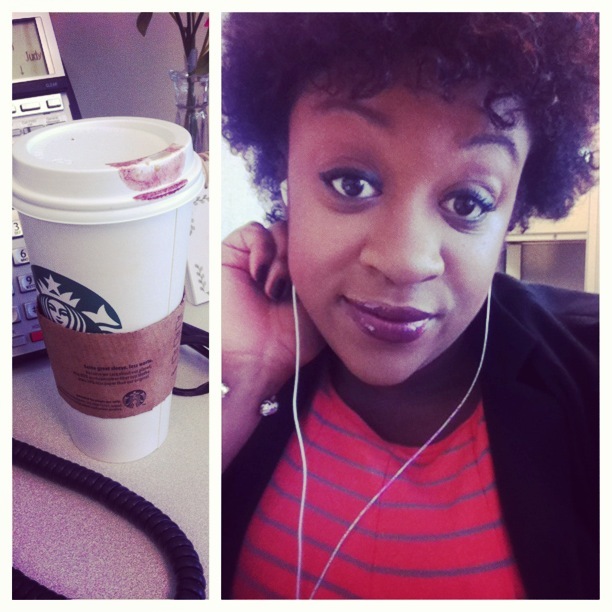 Awesome blog keep it up girly! Thanks Tor Tor! Love you! At first I thought it was just me. Then I thought it was the products I was using. Then I later found out, it was definitely me. I was not deep conditioning properly. In fact, I was trying to get thru this process as quickly as I could so I could just be done with the process. Often times, the longer I’d sit under the dryer, the more softer my hair felt afterwards. But not always. Because sometimes, after washing it out, my wait felt different. I’ve since changed things up a bit and have become more patient to ensure I do the process right. It really does make a big difference too! This was a good read and a good reminder for myself and anyone else who has more lazy days when it comes to managing your natural hair.